Hanging a spray can is often a retail display challenge. Tink’s looked to Do-It Corporation for a solution. Do-It’s R-K65 Hang Tab, designed with a unique series of die cuts, allows the base of the hang tab to conform to the cap of Tink’s Hot Shot spray can. 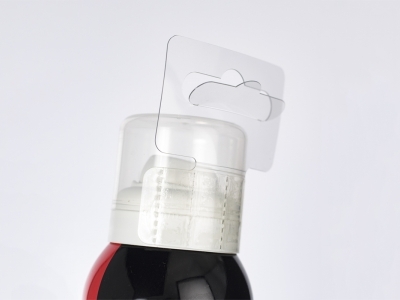 The product can now be placed on a shelf or hung on a peg hook providing Tink’s with more retail display flexibility.